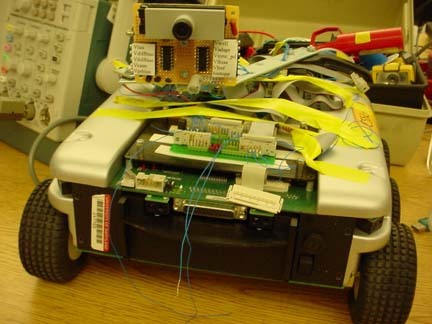 In this project, we decided to mount a vision chip on a Koala robot to do obstacle avoidance (or its inverse, target tracking). We computed relative depth from motion parallax. 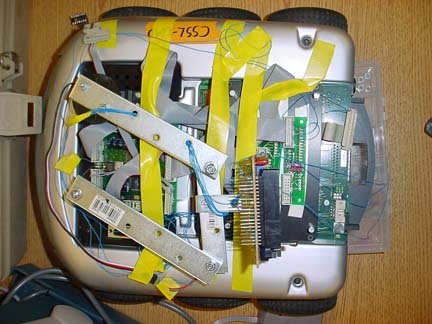 A visual motion chip (provided by Chuck Higgins) was mounted on a servo-controlled four-bar mechanism which allowed it to be scanned back and forth at variable speed. 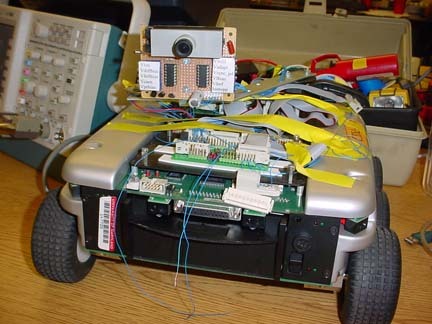 control both the servo position and the scanout of data from the vision chip. 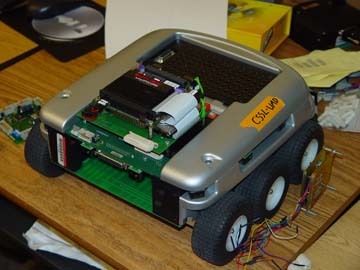 Software on the Atmel microcontroller communicated via an ad-hoc digital bus with separate sofware on the Koala, issuing commands to turn and move. follow an object placed in front of it quite precisely. There is anecdotal evidence that it may also have been able to do this when multiple objects were in its depth perception range. 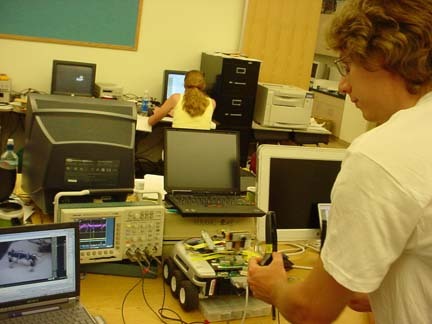 The primary limitation was noise on the analog chip injected from the clock of the Atmel microcontroller. 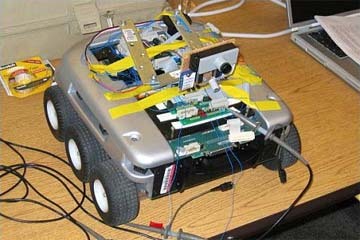 This limited the useful depth perception range of the robot to about three feet. We do believe that this noise issue could be overcome, but the time was not there during the workshop. 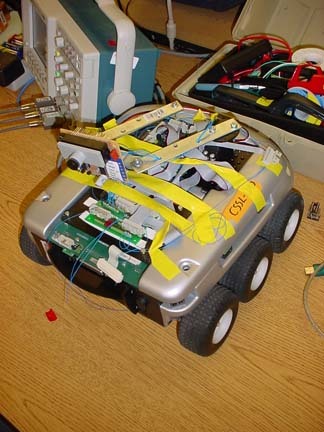 A secondary issue was the sophistication of the software: especially in the case of no target in the depth perception range, the Koala will still initiate a turn to a position caused completely by noise. This, too, is obviously an enhancement that could be incorporated with a little time.